To protect your family from harmful contaminants in your drinking water, you need a filter. The most efficient type of water filter is a reverse osmosis system, which pulls water through a semipermeable membrane to remove fluoride, lead, sulfates, and other harmful substances. Below you will find reviews of the best reverse osmosis system choices available on the market. 4 What are Reverse Osmosis Systems? 4.3 How Does Reverse Osmosis Work? 6.7 Are There Any Disadvantages? 8 What is the Best Reverse Osmosis System to Buy? 9 Where Is An RO System Stored? 11.1 Can An RO System Be Connected To My Fridge Or Ice Machine? 11.2 How Much Water Can An RO System Produce Each Day? 11.3 Is A Reverse Osmosis System Noisy? 11.4 Do You Need Electricity To Operate RO? 11.5 How Does RO Water Compare To Bottled Water? 11.6 How Long Will An RO System Last? 11.7 Will Reverse Osmosis Remove Good Minerals From Your Water? 12 Is An RO System Worth It? To simplify the selection process, I conducted research on Amazon to determine the best reverse osmosis systems based on product quality, product consistency, manufacturer history, reviews, and price. Here are the top picks for reverse osmosis systems. The APEC ROES-50 Reverse Osmosis System is the most highly rated under-the-sink filter on Amazon right now. One of the best ways to determine the quality of a product is to listen to the people who already own and use it daily. Of the 2,500+ Amazon reviews for the APEC ROES-50 Reverse Osmosis System, 96% are positive. Most of these reviews note how the product improved the taste of their tap water, a significant reduction in their water’s TDP levels, and saved them the hassle of buying gallon jugs of clean water from the store. The few negative customer reviews expressed problems with leakage after installing the product themselves and trouble installing the product due to its size. Click here to read the full APEC ROES-50 Reverse Osmosis System review. At $199, the APEC ROES-50 is extremely affordable compared to most other reverse osmosis water filters, which can cost thousands of dollars. If you want to try out the APEC ROES-50 for yourself, you can easily purchase the product on Amazon with optional expert installation for an additional charge. Overall, we were impressed with both the high-quality and consistency of the iSpring RCC7 water filter which has garnered thousands of positive reviews across the web. To conduct our review, we looked at what iSpring users had to say about the quality of the product. The product’s Amazon reviews are overwhelmingly positive, with 95% of the nearly 3,000 reviews being 4 or 5 stars. Customer’s favorite things about the iSpring were how it improved the flavor of their water, was easy to set up, and gave them peace of mind. The most common problems reviewers expressed in negative reviews were issues with leaks and problems with installation in smaller cabinet spaces. While these problems appear to be rare, it’s still something to consider when choosing a reverse osmosis water filter. 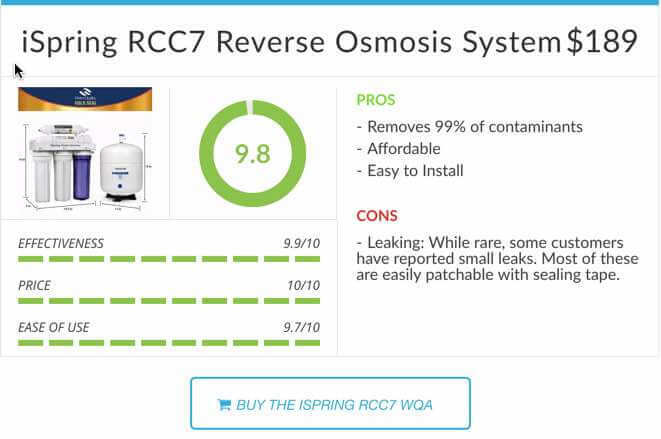 Click here to read the full iSpring RCC7 Reverse Osmosis System review. The iSpring RCC7 costs $189, which is very inexpensive compared to other RO systems. But as evident from customer reviews, the lower price does not denote a lower quality filter. You can try out the iSpring reverse osmosis system and experience all of the benefits of purified water for yourself by purchasing the iSpring RCC7 through Amazon. What are Reverse Osmosis Systems? I put together this article about reverse osmosis systems that dives deeper into the discussion about alkaline diets and healthy living, and builds off of the previous article about alkaline water. Reverse osmosis systems (also known as RO systems) deal with the standard of reverse osmosis, otherwise called hyper-filtration. More specifically, reverse osmosis is a procedure where you de-mineralize or de-ionize water by pushing it underweight through a semi-porous reverse osmosis membrane. The CDC also regards reverse osmosis as one of the top methods for treating water and its ability to remove contaminants from water is relied upon by municipalities and businesses for cleaning up drinking water. This article aims to cover all that has to be known about reverse osmosis: its usage, installation processes, advantages, how it works, reverse osmosis system cost, etc. As small amounts of pharmaceutical drugs (including antibiotics, hormones, mood stabilizers, and other drugs) continue to live in our tap water, it is becoming increasingly important for many to find contaminant-free sources of drinking water to maintain a healthy lifestyle. The drinking water supplies of 46 million people in 24 major metropolitan areas included traces of pharmaceutical drugs. Even worse, the federal government does not regulate prescription drugs in the water. When people absorb only some of the medication they are taking and then pass the rest out in urine or feces. Additionally, some drugs remain even after wastewater treatments and cleansing by water treatment plants. Consequently, reverse osmosis systems are a good way to purify your water and eliminate waste. As you can imagine, reverse osmosis is primarily derived from the scientific process of osmosis. Osmosis is one of the most critical components nature. It is a procedure where a weaker saline arrangement moves to a solid saline arrangement, like when plant roots ingest water from the dirt and when our kidneys retain water from our blood. Reverse Osmosis is similar to the process of osmosis, only in reverse. While osmosis happens normally without vitality required, inverting the procedure of osmosis you have to apply vitality to the more saline arrangement. An invert osmosis layer is a semi-penetrable film that permits the entry of water atoms yet not the dominant part of broke down salts, organics, microbes and pyrogens. In any case, you have to “drive” the water through the turnaround osmosis layer by applying weight that is more prominent than the actually happening osmotic weight keeping in mind the end goal to desalinate (demineralize or deionize) water all the while, permitting unadulterated water through while keeping down a larger part of contaminants. Reverse osmosis or the RO system works by utilizing a high weight pump to build the weight on the salt side of the RO and drive the water over the semi-porous RO layer, leaving all (around 95% to 99%) of broke up salts behind in the reject stream. The measure of weight required relies on upon the salt centralization of the nourish water. The more focused the bolster water, the more weight is required to beat the osmotic weight. The desalinated water that is demineralized or deionized, is called saturate (or item) water. The water stream that conveys the concentrated contaminants that did not go through the RO film is known as the reject (or focus) stream. As the nourished water enters the RO layer underweight (enough weight to conquer osmotic weight) the water particles go through the semi-porous film and the salts and different contaminants are not permitted to pass and are released through the reject stream (otherwise called the focus or saline solution stream), which goes to deplete or can be encouraged once again into the bolster water supply in a few conditions to be reused through the RO system to spare water. The water that endures the RO film is called pervade or item water and more often than not has around 95% to 99% of the broke down salts expelled from it. Understand that a RO system utilizes cross filtration as opposed to standard filtration where the contaminants are gathered inside the channel media. With cross filtration, the arrangement goes through the channel, or crosses the channel, with two outlets: the sifted water goes one way and the polluted water goes another way. To maintain a strategic distance from development of contaminants, cross stream filtration enables water to clear away contaminant develop and furthermore sufficiently enable turbulence to keep the layer surface clean. Valve that fits onto the chilly water supply line. The valve has a tube that appends to the delta side of the RO pre channel. This is the water hotspot for the RO system. Water from the frosty water supply line enters the Reverse Osmosis System Pre Filter first. There might be more than one pre-channel utilized as a part of a reverse osmosis system, the most well-known being silt and carbon channels. These pre-channels are utilized to PROTECT the RO layers by evacuating sand residue, earth, and other dregs that could stop up the system. Moreover, carbon channels might be utilized to expel chlorine, which can harm the RO layers. The Reverse Osmosis Membrane is the heart of the machine. The semi-permeable RO layer is intended to evacuate a wide assortment of both tasteful and well being related contaminants. Instead of going through the layer, the water in turn goes inside a pressurized stockpiling tank where the treated water is kept away. The standard RO storage tank holds from 2 – 4 gallons of water. A bladder inside the tank keeps water pressurized in the tank when it is full. The typical under counter Reverse Osmosis tank is 12 inches in diameter and 15 inches tall. After the water leaves the RO stockpiling tank, however before heading off to the RO fixture, the treated water experiences a last “post channel”. The post channel is typically a carbon channel. Any residual tastes or smells are expelled from the item water by post filtration “cleaning” channel. To preserve water, the RO machine has a programmed stopped valve. At the point when the capacity tank is full, the programmed stopped valve closes to prevent any more water from entering the film and pieces stream to the deplete. When water is drawn from the RO fixture, the weight in the tank drops; the closed off valve at that point opens to send the drinking water through the film while the debased wastewater is redirected down the drain. A check valve is situated in the outlet end of the RO layer lodging. The check valve keeps the regressive stream of treated water from the RO stockpiling tank. A retrogressive stream could crack the RO layer. Water coursing through the RO film is managed by a stream restrictor. There are various styles of water system and stream controls, however their normal design is to keep up the stream rate required to get the most astounding quality drinking water (in light of the gallon limit of the film). The stream restrictor likewise keeps up weight on the delta side of the layer. Without the extra weight from the stream control, almost no drinking water would be delivered on the grounds that all the approaching water would take the easiest course of action and essentially stream down the deplete line. The stream control is regularly situated in the RO deplete line tubing. The RO unit utilizes its own fixture, which is normally introduced on the kitchen sink. A few territories have plumbing directions requiring an air hole spigot; however non-air crevice models are more typical. This line keeps running from the outlet end of the Reverse Osmosis filter lodging to the drain. The deplete line is utilized to discard the wastewater containing the polluting influences and contaminants that have been sifted through by the invert osmosis layer. If you are looking at installing an RO System for your house, you would be required to necessarily follow the following steps. To start with, hang the channel gathering on the back or side mass of the sink base (or in the storm cellar near the sink area) at the stature indicated in the guidelines. Kill both the cool and the high temp water shutoffs, and afterward introduce (after the chilly water shutoff) the tee or seat valve included with the unit. Cut the shading coded water supply line so that it’s over the bureau base and won’t get crimped. Attach the plastic tubing to the supply valve. Abbreviate the supply and waste lines to the fixture to dispose of overabundance tubing; however don’t cut the bigger dark waste line yet. Append the lines to the fittings on the base of the fixture. The dark waste lines encourage through the base of the spigot to keep them above conceivable sink reinforcements, however they have no association with the supply. Attach the spigot to the sink, and afterward introduce the deplete line connector under the sink wicker bin. Cut the waste line so it streams downhill without any circles, and after that push it into the connector. Set the capacity tank into place and introduce the last water line. Disinfect and fill the system as per the maker’s guidelines. However, if you have to set up and install an industrial level RO Systems, the steps differ slightly. The reverse osmosis system ought to be situated on a level surface in a territory protected from sun, wind and rain. The temperature around there ought to be kept up, and ought not to fall beneath 35˚F, nor more prominent than 95˚F. In the event that these points of confinement are surpassed, harm to parts may come about and the guarantee might be viewed as void. It is vital to permit adequate space around the unit so support can without much of a stretch be performed. The films and high weight pumps utilized require a ceaseless and non-turbulent stream of water to the system. Least bolster weight is 40 psi. Channeling for feed water to the RO system ought to be either copper or plastic. Iron and carbon steel pipe will expand the iron substance of the crude sustain water and antagonistically influence the RO system’s execution. Temperature of the bolster water must not surpass 95˚F. Vital: Install a weight gage on the bolster water line to have the capacity to decide when pre-channel cartridges ought to be supplanted in view of weight differential. Interface the item water (penetrate) line to the complex on the rear of the system. This line ought not to have valves and ought to keep running as straightforwardly as conceivable to the capacity tank. On the off chance that net back weight is more noteworthy than 10 psig, counsel production line. On the off chance that it is important to introduce valves in the item water line, a weight alleviation valve evaluated at the full limit of the unit and set at 5 psig, must be introduced between the RO item water association and the primary valve in the item water line. Utilize plastic or stainless steel pipe on product offering; don’t utilize copper. An appropriately estimated electrical administration must be given by the client. The electrical supply to the system must be perfect with the necessities for each model. We very suggest an authorized circuit tester introduce your system as per neighborhood and national electrical codes. If you don’t mind, check with nearby specialists for necessities that may apply. In many establishments it is important to utilize the level switch connector wire (24 volt) to introduce a level control or an electrical change to turn the RO system on and off in light of the water level in the capacity tank. Ordinarily, a qualified circuit tester is expected to finish this fundamental establishment. A weight or level switch is satisfactory (Mercury type). All pumps are overwhelming obligation, outward pumps and they are not self-preparing. Never let pumps run dry. Working pumps without adequate nourish water will harm pumps. Sustain pumps with sifted water as it were. Most RO frameworks accompanied particulate pre-channels to expel suspended particles down to five (5) micron in size. Change pre-channel cartridges no less than consistently or when there weight differential of at least 10% that start-up weight differential with clean cartridges. Utilize weight gages gave. Extra pretreatment might be required, contingent upon encourage water parameters. Before start-up, deliberately assess framework. Check plumbing, electrical associations and ensure no associations have turned out to be free amid shipment. A 2016 Beverage Marketing study discovered water utilization in the U.S. grew 120 percent in the vicinity of 2000 and 2015, while carbonated beverages fell 16 percent over a similar day and age. Drinking more water is a savvy and solid choice! Be that as it may, despite everything you have a great deal of decisions with regards to what sort of water you drink. Packaged? Refined? Common spring water? Tap water? Turn around osmosis drinking water frameworks give you spotless, invigorating water appropriate in your home. Here are a few reasons why it’s the best choice for you. Defiled water and its negative consequences for wellbeing have been making a great deal of features of late. The water emergency in Flint, Michigan including lead provoked expanded examination of open water around the nation. Regardless of where you live, there’s significantly something beyond H2O in your home’s water. Be that as it may, with a reverse osmosis system, you can radically decrease those undesirable contaminants. The unique film sifts through most by far of minute living beings and substantial metals. Take in more about how reverse osmosis systems function. If pure and safe water is what you are looking for, a reverse osmosis drinking system is what you should opt for! Water conditioners are particularly intended to expel hard minerals from the water. Water conditioners or softeners explain a great deal of hard water issues, yet they are not intended to for cleaning. The water conditioner in your home gives you water that is amazing for cleaning, washing, and clothing. Be that as it may, not everybody appreciates the essence of mellowed water. Keep in mind, in the particle trade handle your water conditioner utilizes, hard minerals are supplanted with sodium atoms. You could even now have an abnormal state of aggregate broke up solids, which will affect the taste. Invert osmosis sift through the sodium that your water conditioner includes. A switch osmosis drinking water framework cooperated with a water conditioner enables you to appreciate the advantages of both delicate water and cleaned drinking water. In addition, R.O. water systems are more productive when they begin with delicate water. In the event that you don’t care for the essence of your faucet water, or you’re worried about what may be in it, there’s a decent shot you’re purchasing filtered water constantly. Filtered water is costly. Those plastic jugs make a ton of waste as they very regularly go un-reused and wind up in landfills. In addition, the main issue is a lot of that filtered water isn’t as immaculate as you think. It’s just filtered faucet water. The debasements in your home’s water will influence the essence of the sustenance you make. That bodes well when you consider, on the grounds that the water you cook with frequently winds up in your nourishment. When you bubble pasta, make soups, or prepare hand crafted bread, immaculate water can have a major effect. In case you’re utilizing metropolitan faucet water for cooking, there’s a decent possibility you have excessively chlorine in it. That won’t just aim sustenance to taste odd, it stains it too. You’ll likewise find that espresso and tea taste better with reverse osmosis water. Have you at any point seen how when you make ice shapes they tend to look white and overcast? The purpose behind that are the pollutions and gasses in your water, which crystalize as it stops. Ice shapes from the outside in, and as this happens the polluting influences are compelled to the focal point of the ice 3D shape, bringing about the overcast appearance. On the off chance that you like making eye-getting mixed drinks, perfectly clear ice 3D squares will look incredible in your beverages. However, there’s additional! Shady ice 3D squares have been appeared to be gentler and dissolve speedier than clear ice blocks with immaculate water from a switch osmosis framework. That implies ice 3D squares made with a R.O. will keep your beverages chill longer without watering them off to such an extent. Maybe the best motivation to have reverse osmosis savoring water your house is the means by which awesome the water tastes! When you evacuate every one of those polluting influences, you’re left with only perfect, reviving water. Notwithstanding the film that channels contaminants, reverse osmosis frameworks send your drinking water through three carbon sifts before it comes through of the tap. The last carbon channel is essentially a “cleaning” channel to ensure any waiting tastes or smells are evacuated. The main thing doubters of turn around osmosis can indicate as a drawback is that invert osmosis frameworks sift through minerals, which they accept are significant to their wellbeing. 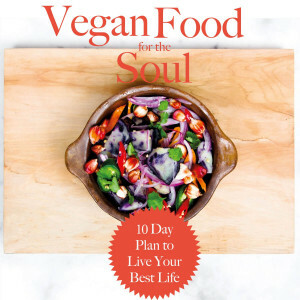 In all actuality, you ought to be getting the greater part of the mineral your body needs from the sustenance you eat. Moreover, the broke up minerals found in drinking water are natural, which implies your body has a troublesome time engrossing them. This discredits any potential medical advantages. For the individuals who are worried about missing out on mineral admission, you can simply search for mineral supplements. A few people will put a squeeze of ocean salt in their turn around osmosis water. Most importantly the amazing advantages of turn around osmosis water far exceed any minor protests. RO membranes or films will definitely require intermittent cleaning, somewhere in the range of 1 to 4 times each year relying upon the sustain water quality. When in doubt, if the standardized weight drop or the standardized salt section has expanded by 15%, at that point the time has come to clean the RO films. On the off chance that the standardized saturate stream has diminished by 15% then it is additionally time to clean the RO layers. You can either clean the RO layers set up or have them expelled from the RO framework and tidied up site by an administration organization that represents considerable authority in this administration. It has been demonstrated that offsite film cleaning is more viable at giving a superior cleaning than on location cleaning slides. RO membrane cleaning includes low and high pH cleaners to expel contaminants from the layer. Scaling is tended to with low pH cleaners and organics, colloidal and bio fouling is treated with a high pH more cleanly. Cleaning RO layers is not just about utilizing the proper chemicals. There are numerous different elements included, for example, streams, water temperature and quality, appropriately planned and measured cleaning slips and numerous different variables that an accomplished administration amass must deliver with a specific end goal to legitimately clean RO films. This rule is exceptionally broad. Particular data about how regularly your film or channel ought to be supplanted can be found in the items’ “Specs” or your item proprietor’s manual. On the off chance that you’ve obtained a framework or channel from us before, we will send update messages when it comes time to change your channel. Most private Reverse Osmosis frameworks require no power, running just on water weight. Be that as it may, some bigger business frameworks do need to utilize electric pumps, however and, after it’s all said and done the power prerequisites are insignificant. We suggest that you have your RO framework disinfected and channels changed once every year. This should be possible by the property holder or by a nearby water treatment proficient. A water proficient can give required upkeep benefit or counsel your RO framework’s proprietor’s manual. A great deal of organizations additionally convey units and the channels to play out the yearly sanitation and channel change in case you’re a DIY sort of person. In principle, bottled water in the United States falls under the administrative expert of the Food and Drug Administration. By and by, around 70 percent of filtered water never crosses state lines available to be purchased, making it excluded from FDA oversight. Then again, water frameworks in the created world are all around managed. In the U.S., for example, city water falls under the domain of the Environmental Protection Agency, and is consistently investigated for microorganisms and lethal chemicals. In mineral water, basic minerals are included after filtration and in RO water purifier minerals are held by utilizing TDS controller. Here indicate note it that in RO water purifiers minerals are held not included from outside. After filtration crude water in significantly lesser sum is included which additionally expands the convergence of minerals on the other hand water is gone through UV chamber to expel all sorts of smaller scale bacterial pollutions. There’s a straightforward contrasting option to filtered water: purchase a stainless steel canteen, and utilize it. Try not to like the way your neighborhood tap water tastes? A Reverse Osmosis machine sifts through by and large 98.8% of the polluting influences, both human and regular which are in your water. They just cost a small amount of filtered water’s cost inside a year’s chance. And the best way to do it is to have a reverse osmosis faucet fixed in your kitchen, so that you can have pure and fresh water at all times, without having to carry the burden of bottled water costs. What is the Best Reverse Osmosis System to Buy? Established in 1999, Aquasana works in assembling water cleansing frameworks for family utilize. Aquasana’s items are sold on the web and through normal item retailers. The organization’s line of honor winning filtration items incorporates entire house channels, shower channels, and ledge and under-counter channels for drinking water. Aquasana’s filtration frameworks utilize a blend of carbon, particle trade tars, and sub-micron filtration to expel chlorine, lead, mechanical chemicals, pharmaceutical defilement, and water-borne pathogens. Aquasana’s items gotten positive media reputation, including an element on the Dr. Oz show. Brita is exclusive organization situated in Germany. In 1966, innovator Heinz Hankammer built up a progressive procedure for enhancing the quality and medical advantages of normal faucet water. The organization, which is named after Hankammer’s little girl Brita, first utilized their filtration innovation to desalinate water for auto batteries. Today, Brita is a standout amongst the most perceived makers of family unit water purifiers. Brita’s channels join granular initiated charcoal and de-ionization dots to expel metals, hard water minerals, and solids that have an ionic charge. Situated in Virginia, Crystal Clear has been one of the main water purifier makers for more than 40 years. Completely clear’s RainSoft framework is an entire house purifier that specifically relaxes water, evacuates minerals, and chlorine. The novel focused-on-framework creates by Crystal Clear treats just the issues related with each home’s water source. Notwithstanding entire house particle trade frameworks, Crystal Clear also offers one of the best reverse osmosis system filters. Founded in 1989, Watts Premier is one of the best water purifier manufacturers. Utilizing protected innovation, Watts has built up a progression of moderate, cutting edge filtration frameworks. Watts offers a full scope of water cleansing items, including water conditioners, entire house frameworks, and under-counter channels. The organization’s leader item is their five-arrange, invert osmosis filtration framework. Watts Premier uses a blend of carbon channel media and a propelled composite layer to mechanically cleanse water without utilizing chemicals. This is a pre-filtration stage intended to secure the unit’s layers by diminishing fine, suspended materials that can obstruct the framework. The second stage includes filtration to expel chlorine since chlorine can harm thin film-material layers. This is a semi-penetrable layer intended to evacuate a wide assortment of both stylish and wellbeing related contaminants. The water goes from here into a pressurized stockpiling tank to hold the treated water. The last stage in the RO procedure is normally a carbon post-filtration stage that will expel any staying stylish taste or scents – a “cleaning stage”, maybe. Whole house reverse osmosis system for the most part range from $12,000 – $18,000 as an introduced cost. The cost relies on upon various variables however is most firmly connected to the measure of water that should be created every day. he measure of pre-filtration hardware required is another variable. The more water request, the bigger the framework required, and the higher the cost. Whole house water filter systems are most appropriate to rustic water circumstances that have different difficulties, for example, high hardness + high saltiness (TDS). They are likewise appropriate to urban occupants who just need the most noteworthy quality water accessible from each tap in their home. The aggregate cost of responsibility for RO framework is additionally fixing to the recurrence of layer and pre-channel substitutions. Most entire home RO frameworks additionally send huge measures of water to deplete which can drive high water bills. A few frameworks available have negligible or zero waste. Some Reverse Osmosis units make 75 gallons of water a day, however some exclusive make 12 or 16, yet the cost is about the same. More isn’t generally better. On the off chance that you require 75 gallons a day, at that point you ought to purchase the greater unit. Be that as it may, in case you’re just going to utilize 3 gallons for each day, a lower creation film will likely last more and make a superior showing with regards to on the grounds that it gets the chance to run longer and invests less energy sitting inactive. Reverse osmosis layers clean themselves as they process water, so it’s truly more advantageous if the film needs to work longer to fill the tank. Consider it along these lines: If you draw off a gallon of water, a 24-gallon-per-day film will refill the tank at the rate of about a gallon for every hour. For most clients, that is bounty quick. Just the pre-channels and post channels should be supplanted in any event on a yearly premise to guarantee appropriate execution. At last the nature of the water and the measure of utilization will decide the recurrence of channel changes. Contingent upon the purpose of-utilization RO demonstrate, the yearly cost is under $0.30 every day. The reverse osmosis layer itself will regularly last in the vicinity of two and five years. The thing about getting what you pay for is genuine now and then, yet not generally. Frequently the more costly RO units are really second rate. Many utilize undersized channels with an end goal to accomplish an up-to-date appearance. What’s more, they regularly have a few fancy odds and ends that are more inconvenience than they’re worth. The clearest case here is the “shrewd spigot” that contains a light that should flag the requirement for layer substitution. What you more often than not wind up with is an average spigot with an untrustworthy broke up solids meter inherent. Before long the light doesn’t work and you have a fair spigot that will in the end cost $125 to supplant. It’s constantly desirable over get you an awesome spigot with a lifetime ensure and a hand-held broke up solids analyzer that gives you a precise, advanced perusing of your unit’s execution as opposed to a red or green light. Can An RO System Be Connected To My Fridge Or Ice Machine? Under-the-counter switch osmosis frameworks are plumbed to the approaching icy water line, deplete, and a free fixture. Be that as it may, it is workable for a water treatment expert to plumb a RO unit to your refrigerator or potentially ice machine, also. The water proficient will no doubt run a quarter-inch tube from the under-sink RO unit to your refrigerator. Water weight is a thought with a few fridges, so make sure to allude to your RO system’s proprietor’s manual as the weight from the switch osmosis unit is around 66% of the approaching line weight. The run of the mill under-counter turn around osmosis tank is 12 crawls in distance across and 15 inches tall. The reverse osmosis framework will work submerged weight extending from 40 to 100 psig and produce ten to 75 gallons (that is 45-340 Liters) every day. For the most part, invert osmosis frameworks are peaceful – however you may hear a “sputtering” sound as the “think” or waste water streams from the film to the deplete. Turn around osmosis is composed so that “cross flow” water flushes the polluted focus far from the framework. This flushing shields the unit from fouling. In the event that you hear different sounds, for example, a “murmuring” commotion, quickly call your neighborhood water treatment proficient as there might be an issue with water weight, the air hole or a hole. Do You Need Electricity To Operate RO? No. A private invert osmosis framework just keeps running on water weight from family unit plumbing and requires no power. The special case to this is expansive business or mechanical RO frameworks. These expansive frameworks utilize pumps to bolster water through the filtration procedure. How Does RO Water Compare To Bottled Water? The vast majority incline toward turn around osmosis-sifted water over filtered water. A RO framework that joins carbon filtration will expel chlorine, chloramines, arsenic, pesticides, herbicides and the sky is the limit from there. The evacuation of these contaminants makes for more secure drinking water, as well as extraordinarily enhances the taste. The RO procedure leaves follow measures of minerals and salts which improves for a general taste as opposed to the “level” taste of refined container water. The best part is that reverse osmosis bottled water spares you the cost of filtered water and is better for the earth since you’re not adding water jugs to nearby landfill. In the event that you legitimately tend to your Reverse Osmosis framework (yearly cleanings in addition to change out channels/layers on time), your framework ought to have a long life expectancy; we’ve seen appropriately kept up frameworks last 10-15 years! We exceptionally prescribe that you buy substitution channels from presumed organizations and venders as they just convey beat quality channels that are intended for ideal execution and unwavering quality. Will Reverse Osmosis Remove Good Minerals From Your Water? It’s actual that RO units expel minerals around 95% of the mineral substance at any rate, however it isn’t generally the entire story. The mineral issue is presumably the most disputable question in drinking water sanitization. Specialists on both sides of the issue talk convincingly. Our own view, in the wake of perusing a great part of the master sentiment, is that the mineral substance of water either high or low isn’t so vital as they would have you accept. That is, minerals in water are inorganic and hard for your body to utilize. You get the majority of your minerals from sustenance, which gives natural, effectively acclimatized minerals. The human body is a modern instrument equipped for adjusting to an extensive variety of conditions and fit for flourishing in zones having water of high or low mineral substance. For whatever length of time that water is satisfactory, it’s inside the body’s worthy range. The primary issue with water is chemicals, not minerals. Regardless of whether water contains 30 or 3 sections for each million calcium isn’t generally critical, yet the distinction in the vicinity of 0.5 and 5 sections for every million chloroform is of crucial significance. Completely. Taking a look at cost alone, RO systems for the most part cost under $0.30 per day to claim and work for a group of four. From a cost-investment funds viewpoint, since most Americans burn through $100/year on filtered water meaning $400/year for the family unit, and a RO framework would spare about $300/year as it works for generally $100/year.